“For us to win, we have to play at a 10 and they have to play at a seven.” Before Game 4 of the Western Conference Finals, Manu Ginóbili of the San Antonio Spurs acknowledged the Herculean task of beating the Golden State Warriors. As Cal track and field’s trio of juniors prepare for the coveted NCAA Championships, Ginóbili’s words could not be more applicable. 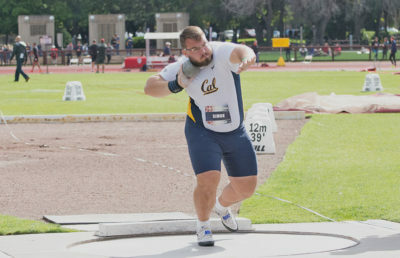 Shot putter Peter Simon, triple-jumper Ashley Anderson and distance runner Bethan Knights will head to Eugene, Oregon, where the nation’s best will seek out a podium finish. These Bears will have to sharpen their claws if they wish to maul their way to victory. In last week’s West Regionals qualifying meet, Simon took sixth in his event with a throw of 18.91 meters. For Simon to reach the podium, he’ll likely have to crack 20 meters, a mark which he has yet to conquer. To reach the podium, Simon will likely have to beat out fellow juniors Mostafa Hassan of Colorado State, Nicolai Ceban of Kansas and Nicholas Demaline of Ohio State who all reached the 20-meter club during the regional qualifiers. Anderson earned eighth at West Regionals with a personal-best of 13.20 meters. The junior will seek redemption in her second appearance at the NCAA outdoors championships after fouling out at last year’s meet. 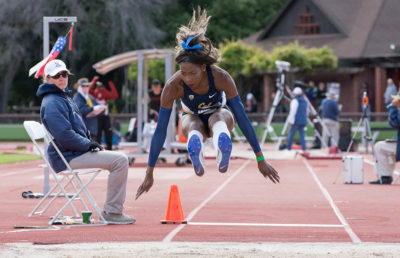 Anderson will meet junior Keturah Orji of Georgia, among others, in the triple jump. 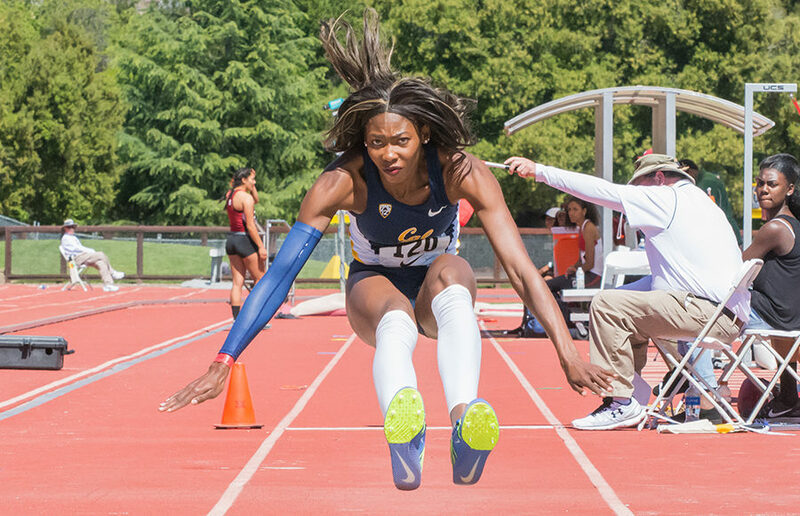 Orji had the highest mark of any triple jumper at both the East and West Regionals with a mark of 14.09 and was the 2017 indoor champion. Knights earned her ticket to nationals with a time of 34:41.74 to finish seventh at regionals. The junior qualified for the outdoor championships as a freshman in the 5,000-meter run, a feat which neither Simon nor Anderson achieved, but failed to qualify in her sophomore season. Knights finished 16th in the 2015 championships with a mark of 16:22.08, but just failed to qualify for the 2016 championships, taking 13th with a time of 16:26.34. This year, Knights will not compete in the 5K, but the 10K, a race she has only ran three times this outdoor season. But Knights must be the best-in-the-West to conquer the beasts-of-the-East. The times in the East Regionals were substantially faster than those of the West. Junior Alice Wright of New Mexico recorded the winning time of West Regionals at 34:06.78, but this time would have earned her 14th in the East. Simon, Anderson and Knights will head to Eugene as the underdogs, but anything can happen once they enter Hayward Field. Only the strong will survive in the championships — it remains to be seen if the Bears can hold their own in enemy territory. Christie Aguilar is the assistant sports editor. Contact her at [email protected].